The Wimbledon ATP tournament reached its semifinals after nearly two weeks of play. 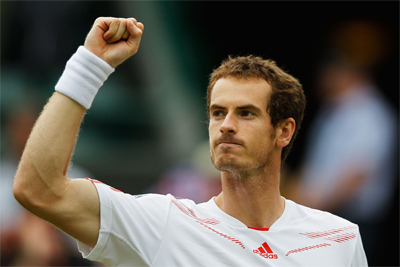 Andy Murray was qualified on Wednesday in the semifinals after having beaten the Canadian Vasek Pospisil. Sports betting fans were right to make prognosis on the game, as both players have shown a remarkable performance. Indeed, Murray and Pospisil were on par in the first two sets, but the Scot finally managed to get the upper hand in the final set despite a shoulder hit against Andreas Seppi in the second round. After three sets (6-4, 7-5, 6-4) against Vasek Pospisil, Andy Murray won his ticket to the semifinals and will face Roger Federer. The Swiss had faced the French Gilles Simon in the quarterfinals. The match was also exciting because the French managed to stand up to Federer before giving the final set (6-3, 7-5, 6-2). It seems that Gilles Simon had a good tournament despite this defeat, the match generated many online betting. Roger Federer is known for his ability to master the game starts. The weather played on Wednesday in his favor because the meeting was interrupted twice by the rain. In addition, Federer's level of performance in the service was impressive. The semi-final between Andy Murray and Roger Federer should attract more punters. Both players competed for the last time in the finals of major tournaments in 2012. Federer won at Wimbledon and Murray caught up to win the Olympics.